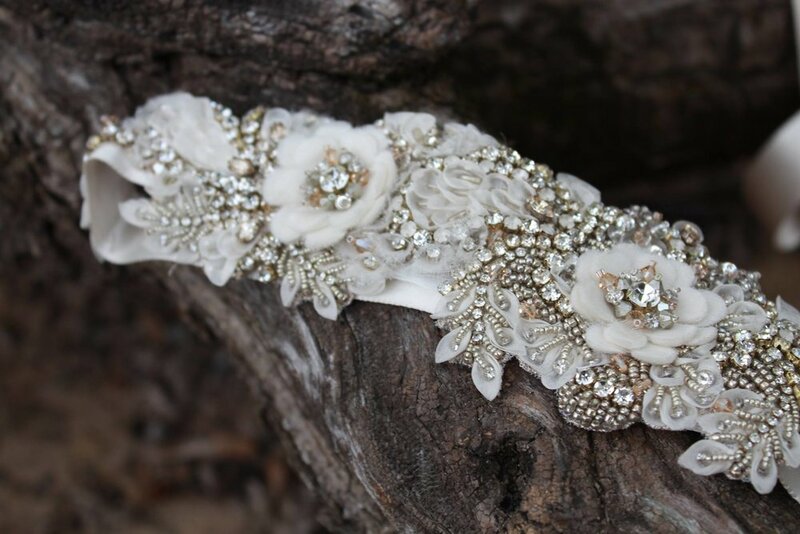 Marie Gabriel Couture offers a full range of bridal accessories to help complete your wedding day look! Our designers are selected for their top notch quality and beautiful craftsmanship. We have a full range of veils, belts, head pieces, jewelry, and more! Detachable straps & flower crowns!